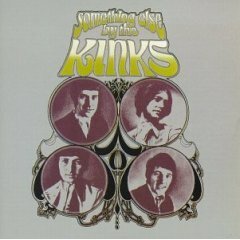 A friend of mine is working on a Kinks docummentary and I'm helping him a bit with it, you can check some of his videos here. He doesn't pretend to make any commercial profit out of it, it's something he's doing mostly for fun on his free time and he'd like to include a few pictures of fans with Ray or Dave on it. We already have quite a few but I thought I'd ask just in case someone else wants to be on it, it's almost finished but there's still time. If you'd like your picture to be on it or you want to know more about it you can PM me to let me know. Of course if your picture is on it I'll send you a copy when it's finished! Will we all be able to see the documentary when it's finished, I mean will you post a link here? There's a picture of me with Ray on the Come Dancing thread and I'd be happy for you to include that - please let me know what I need to do! Hello Inakink! Good to see you! Thanks Uncle! Good to see you as well. Sleep, I don't know if I'll be able to post a link when it's done (it doesn't actually depend on me) but I can send it to anyone who asks about it. I'll PM you about the picture. Yes, please do PM me about the photo so I know what I should do. I have one of me with Mick too, or are you just looking for pics of folks with Ray or Dave?